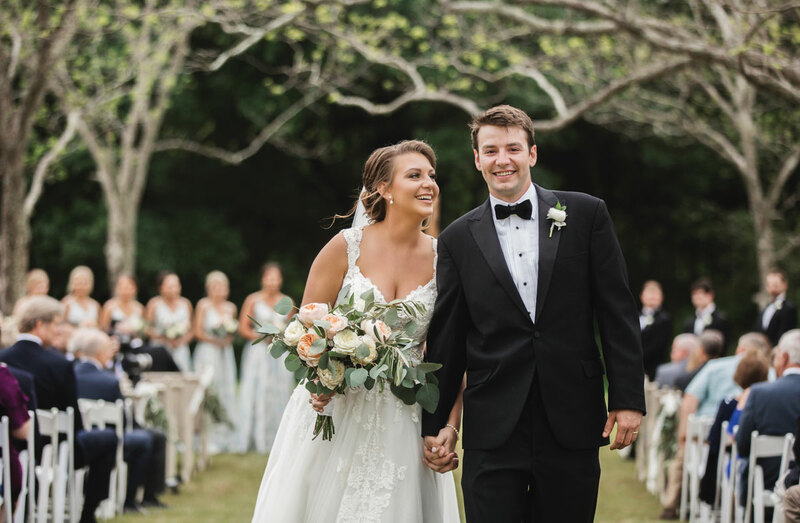 Whitfield Kittrell Broughton and Andrew Blake Griffeth were united in marriage at Fox Meadow Farms in Fairhope, Alabama, on April 7, 2018. The bride is the daughter of Mr. and Mrs. Jerry Maxwell Broughton, and the groom is the son of Mr. James Franklin Griffeth and Mrs. Julie Klumpp Bray. The bride wore an elegant gown adorned with a keyhole back and a fitted bodice, with lace appliques on the full princess skirt designed by Essense of Australia. 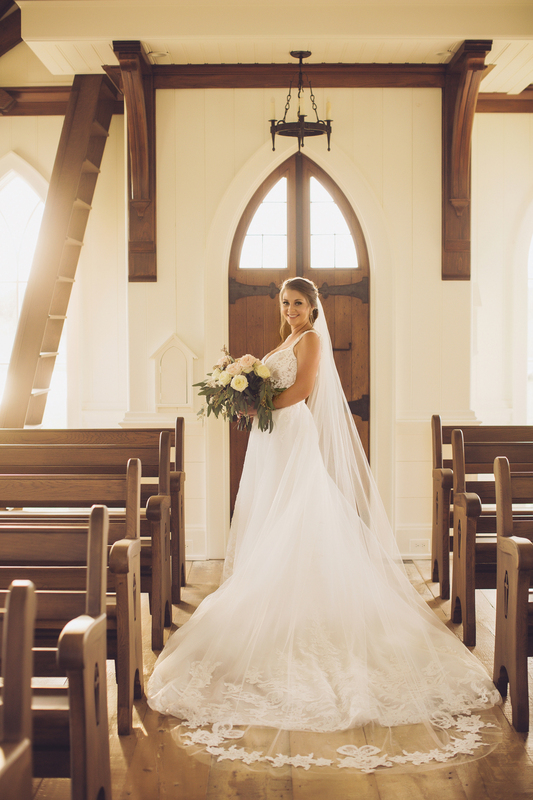 The cathedral-length custom veil was made with hand-cut Chantilly lace and designed to match the dress by I Do Bridal and Formal. Her something blue was the antique handkerchief with her grandmother’s light blue initials sewn into her dress. Her something old was the silver cross that her grandfather kept close to his heart stitched into her dress. She chose her close friend, Jacklin Byers, as her maid of honor. 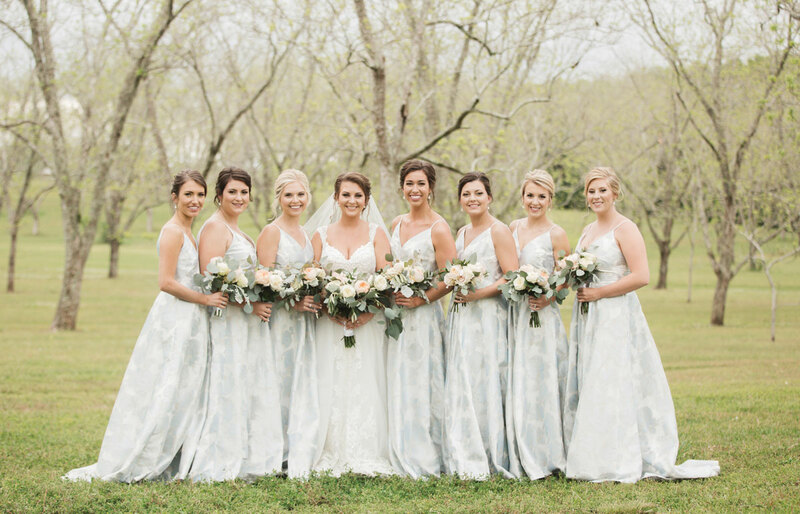 Bridesmaids were Jessica Sullivan, Samantha Broughton, Amanda Brown, Allison Mickler, Brooke Younce and Kayla Eaton. The groom chose his brother, Benjamin Griffeth, as his best man. Groomsmen were Jay Broughton, Riley Eaton, Brad Bray, Preston Davis, Jeffrey Boone and Brandon Seidel. 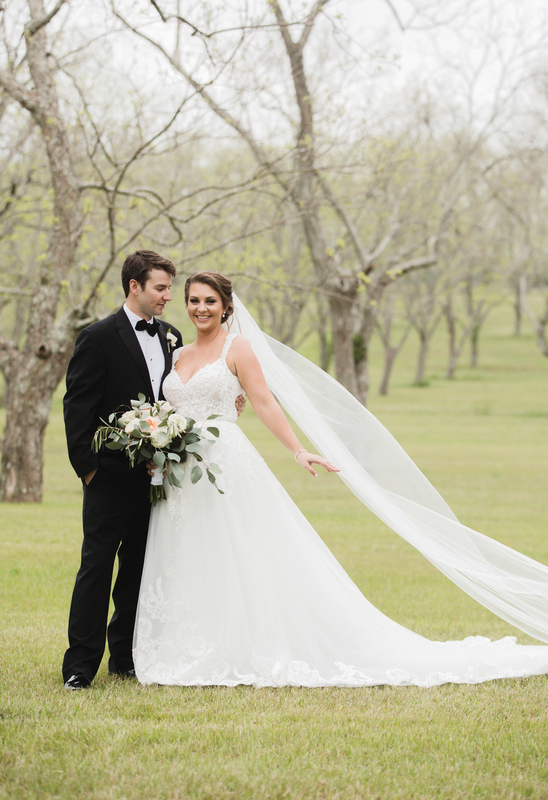 Guests entered the outdoor ceremony under beautiful arching pecan trees with gentle music of harp and violin featuring a medley of traditional wedding songs played by the Atkinson Duo. 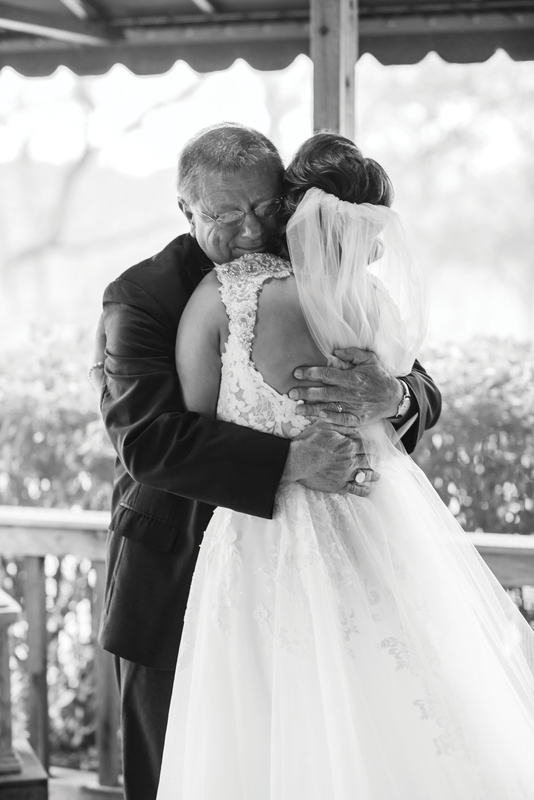 The bride’s father walked her down the aisle flanked with family and friends seated in crisp white pews and chairs. The Rev. Matt McCollum, of Trinity Presbyterian Church, officiated the ceremony with grace and a message of lasting love. 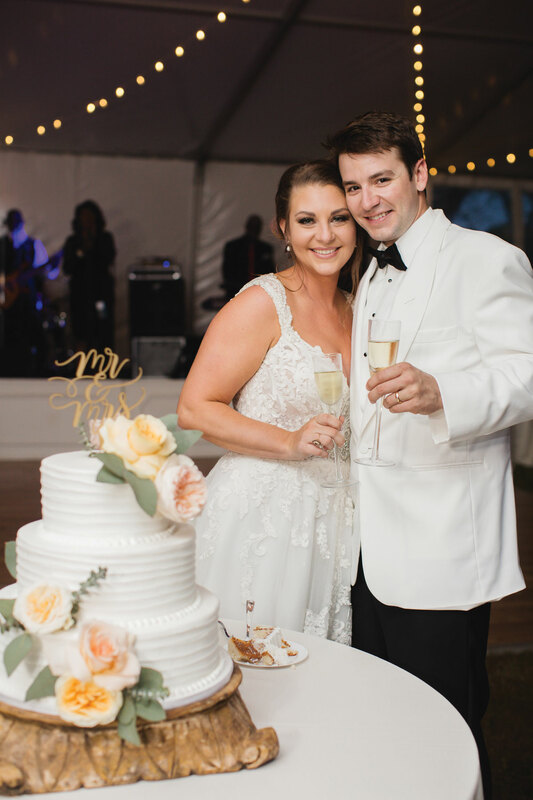 Following the ceremony, a reception flowed into a magnificent tent extending the beauty of the farm as guests gathered to enjoy cocktails and delectable foods from Rob and Brady Berglin, such as stuffed mushrooms, shrimp and grits and a carving station of beef tenderloin. Guests danced the night away to the tunes of Second Groove playing songs from the Motown era. Chandeliers hung from the tent, lending a twinkling magic to the night. 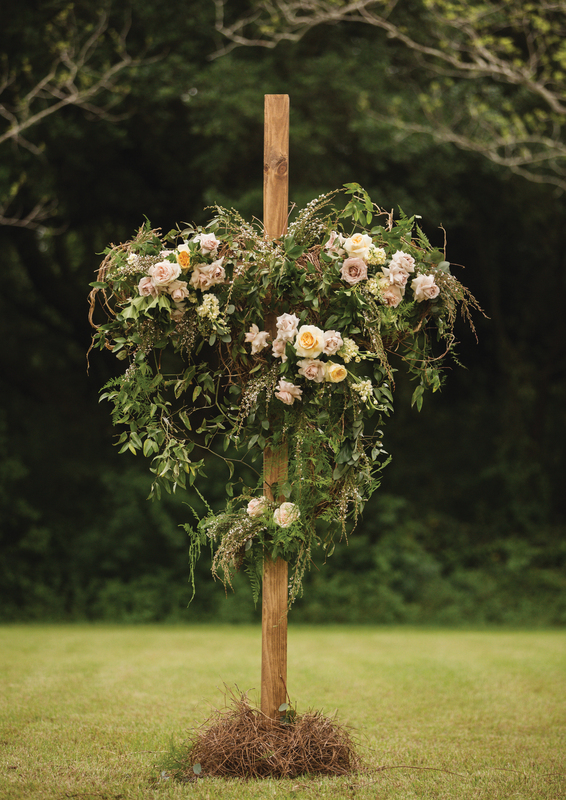 Each table was draped in champagne linens and topped with lush flowers by Wildflowers. The night was capped off with steaming hot “Ugly Biscuits” from Biscuit King in Fairhope. 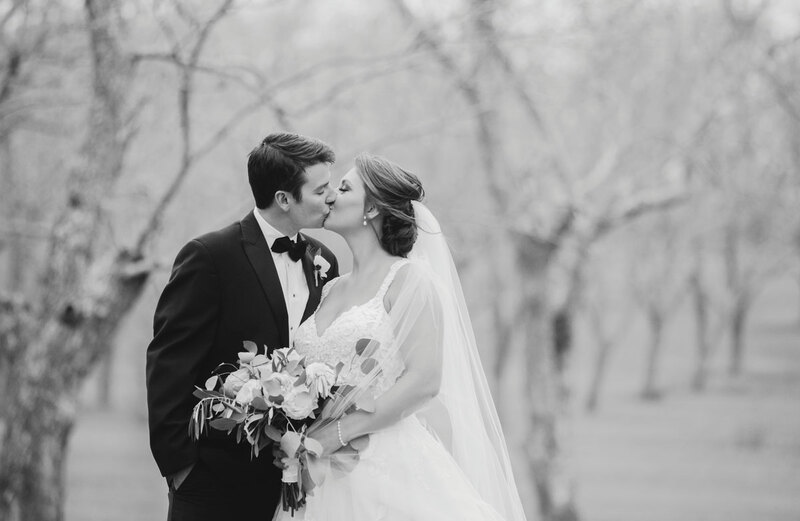 Wedding planner Jenna Laine Weddings delivered the perfect day for the couple, while Aimee and Robbie Reynolds beautifully captured the day’s events through photography and videography. 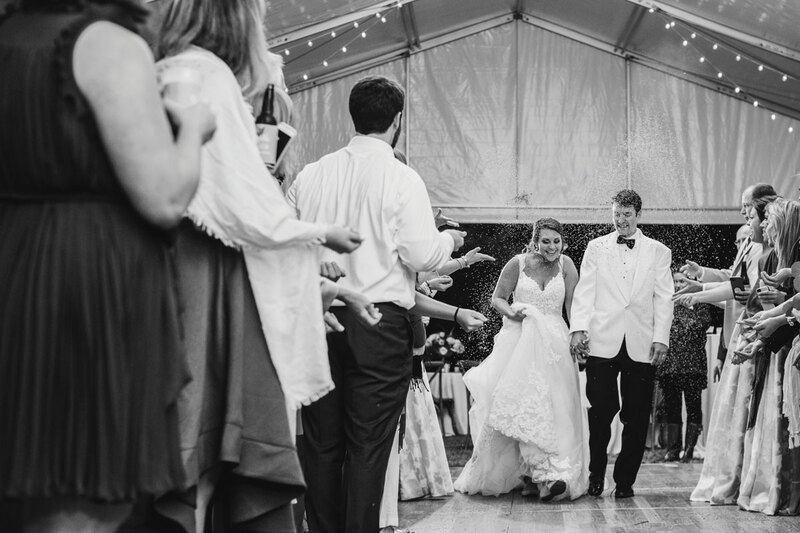 After traveling to the Bahamas for their honeymoon, the couple resides in Williamsburg, Virginia.